Is it weird that my very first galette is a savory one? Right, like I thought that much about this. 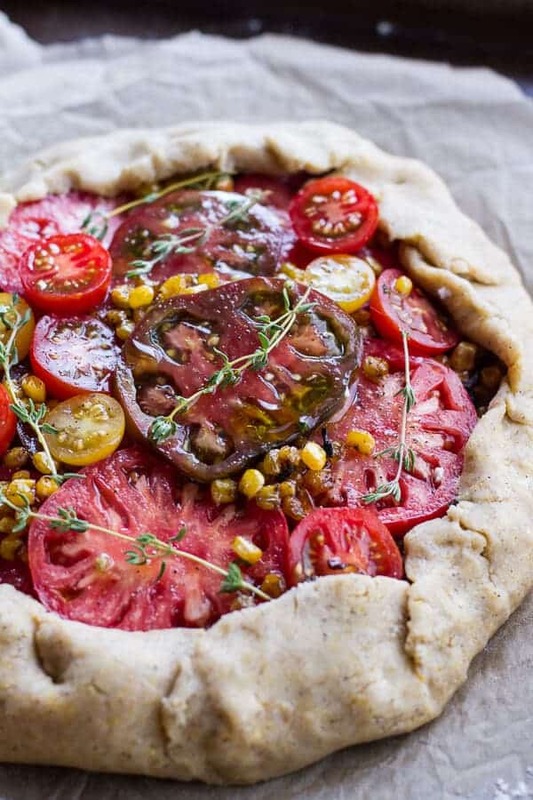 No, more like I have bought tomatoes like crazy the last couple weeks, so I kind of knew I had to a do a savory galette involving one of August’s most popular foods. Plus, galettes tend to be filled with fruit and while I have turned a small corner this summer with fruit desserts, I still have a hard time thinking of fruit as a dessert. I thought tomatoes would be a good choice since tomatoes seem to be just about everywhere now. Even here in Colorado where the growing season is pretty much just horrible (or at least up here where I live), we seem to have an abundance. I think I am actually stocking up on tomatoes every time I go to the store in fear that the next time I go they will not be there. I mean, I am so exited for fall (it’s my favorite season + some of my favorite foods! ), but I am still loving the summer produce. So it’s tomatoes all month long. Hoping this is good with you! The tomatoes are not the only star here though. I did want to keep the galette simple, but I also wanted to add some really good summer flavors as well. So I caramelized some corn, roasted some garlic (I guess this is sort of fallish, but the flavor is just so good!) and tossed a lot of fresh herbs with a hefty amount of goat cheese, then layered it all in some hearty, buttery dough. It does take a little time so make, but that is only because you have to chill the dough and roast the garlic. The actual hands on time is minimal and it’s all pretty easy. And you do not even have to worry about making the galette look perfect. Galettes are supposed to be rustic and free formed, meaning mess ups are ok and as long as you have those tomatoes on top it is guaranteed to look pretty. Oh and about the crust, I used cornmeal and whole wheat flour in the dough because I wanted a really hearty crust that would compliment the flavors of the galette. We all (the family is back…SEND HELP!) thought it was delicious over here, but it is crumbly. Crumbly in a good way though. It’s buttery, flaky and has the perfect flavor. I also served this with some balsamic glaze. I totally forgot to add it when I was taking pictures because those pretty tomatoes do things to my brain, but the balsamic is a good topper. It doesn’t NEED the balsamic though, so whatever you prefer. Herbed Roasted Garlic Goat Cheese from Half Baked Harvest on Vimeo. The tomatoes are not the only star here though. I did want to keep the galette simple, but I also wanted to add some really good summer flavors as well. So I caramelized some corn, roasted some garlic and tossed a lot of fresh herbs with a hefty amount of goat cheese, then layered it all in some hearty, buttery dough. In the bowl of a food processor combine the flour, cornmeal, whole wheat flour, salt and pepper. Pulse once or twice to combine. Add the diced butter and pulse until you end up with small pieces of butter, similar to the size of rice. Add 3 tablespoons water and pulse until it comes together. If needed add 1-2 tablespoons more ice water until the dough comes together. Turn the dough onto a floured work surface, knead a couple of times and then form the dough into a flat disk. Wrap in plastic wrap and refrigerate for at least 30 minutes. Meanwhile preheat the oven to 400 degrees F.
Chop off the top portion of the garlic head to reveal cloves. Peel any excess paper/skin off from the bulb of garlic. Place the cloves onto a piece of tin foil and pour about a teaspoon of olive oil on top. Cover with the foil. Place in the oven and roast for 45 minutes, or until the garlic is golden brown and soft. Remove from the oven and allow to cool five minutes. Squeeze garlic out of the paper skin into a bowl and mash well with a fork. Add the softened goat cheese, fresh herbs and pinch of pepper. While the garlic roasts, add the butter to a skillet set over medium-high heat. Add the onions and 1/4 teaspoon each of salt and pepper. Cook, stirring constantly, until the onions begin to soften, about 5 minutes. Stir in a tiny pinch of brown sugar and continue to cook, scraping the browned bits off the bottom of the pan frequently until the onions are golden brown, about 20 minutes. Add the corn and cook another five minutes or until the corn has browned lightly and caramelized. Remove from the heat and stir in the basil. Season with salt and pepper. Now grab your dough from the fridge. Flour your work surface and roll the dough to about 1/8-inch thick. Transfer to a baking sheet lined with parchment paper. 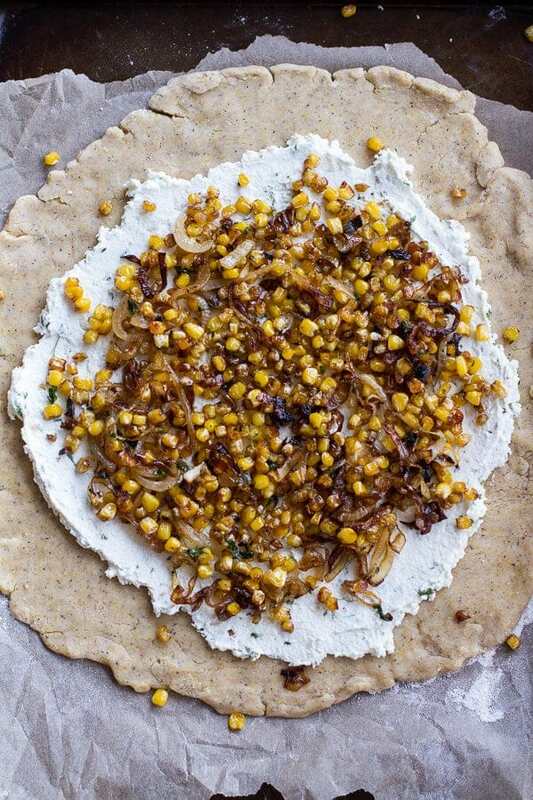 Spread the goat cheese over the bottom of the dough leaving a 3-inch border around the edges. 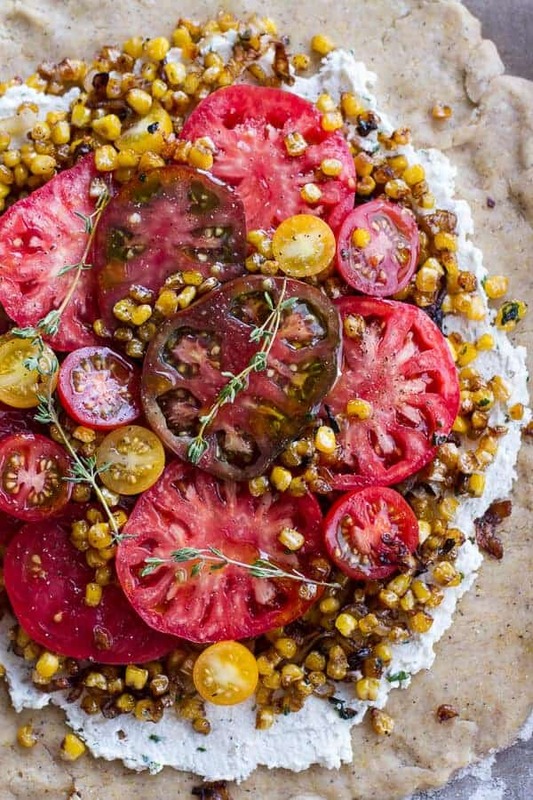 Spread most of the corn over the goat cheese and then layer the tomato slices over the corn. Drizzle the tomatoes with olive, sprinkle with salt and pepper. Add the rest of corn and the thyme sprigs. Fold the edge of the dough over the tomatoes. Brush the crust with the beaten egg. Place the galette in the fridge for 15 minutes or until ready to bake. 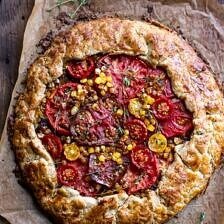 Bake the galette for 45-55 minutes or until the crust is golden and the tomatoes are very lightly charred. Allow to cool 5 minutes and then slice and serve with a drizzle of balsamic reduction if desired. The crust will be crumbly so cut small slices for easier serving. But um, the buttery crust? Yeah, so good. I can’t tell you how amazingly good this looks! I’m so making this this weekend! Thank you, Lauren! Let me know if you do make it. I hope you love it! Thank you! And I am so jealous of your garden! 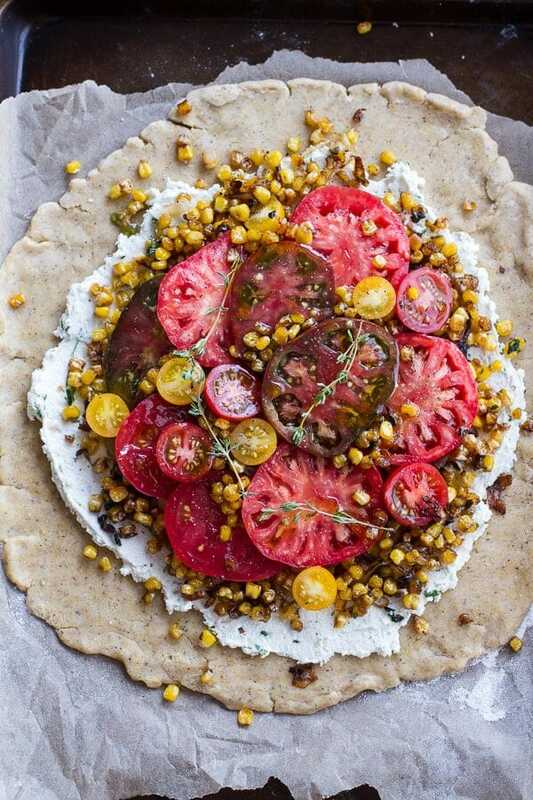 I love this galette…the black pepper in the dough..genius…the roasted corn and all those beautiful tomatoes…I eat a bowl of tomatoes and basil with balsamic glaze everyday…so I’m with you on buying up all the tomatoes I can find..This is on my to do list this weekend. Thank you!! 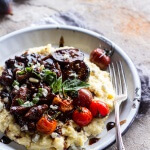 Love that you eat tomatoes and balsamic daily, I do too! This is a great idea for those tomatoes in my fridge. As always, you blow me with your recipe imagination. Pretty sure you’re my spirit animal, Tieghan. Haha! This looks and sounds amazing… so many of my favorite ingredients in one dish! I am so jealous of those tomatoes! I live in NJ and have only had 2 great ones this summer. I want to make this so badly. Will have to make a trip to the local farmers market to see if they have some real tomatoes! This looks absolutely amazing and since I LOVE tomatoes I will have to make this soon! Beautiful, beautiful styling and food photography! You are so talented! Most of my favorite summer flavors are in this dish. Yum! What an elegant galette! 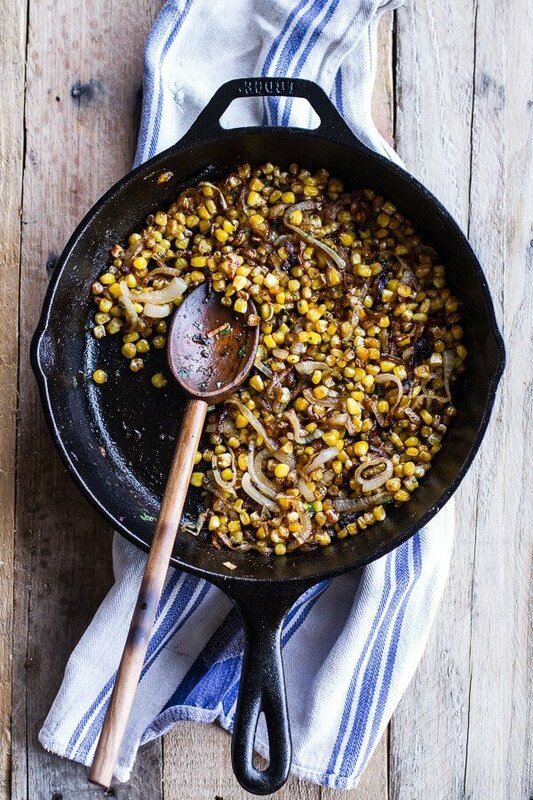 The caramelized corn and onions sounds fantastic, and the tomatoes are so beautiful. 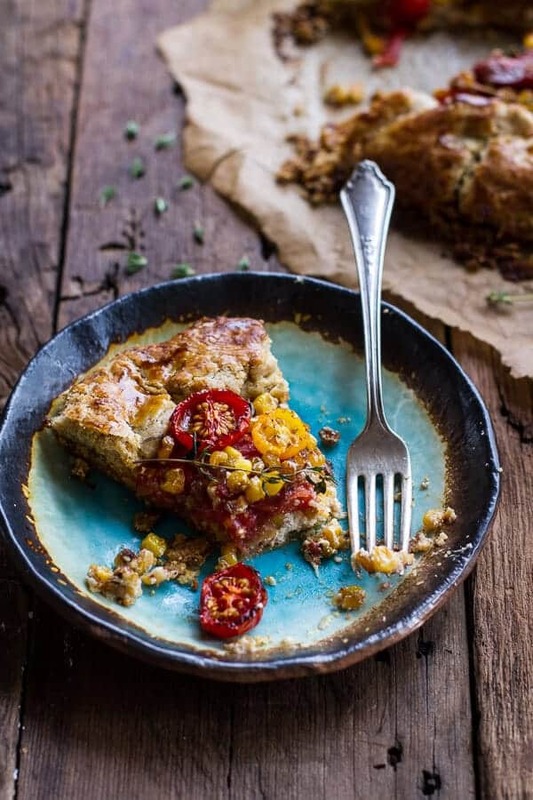 I can’t get enough tomatoes in the summer either, so I’m definitely on board with this – keep the tomato recipes coming, please! Simply love! Looking for new ways to use my harvest of tomatoes. Looks so good. Love the fact that onions are involved. Have a great Wednesday Tieghan! I bet your tomatoes are just awesome! Thanks Julie!! Let me know if you make it! Thanks Liz!! Hope you had a great day! I love savory galettes! This looks awesome Tieghan! Thanks Laura! Love reading your post on San Fran! Savory galettes seem totally normal to me! I mean, this is more or less a much better pizza, right? 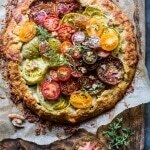 🙂 Love all those beautiful big slices of heirloom tomatoes! Right! Thank you so much, Eileen! 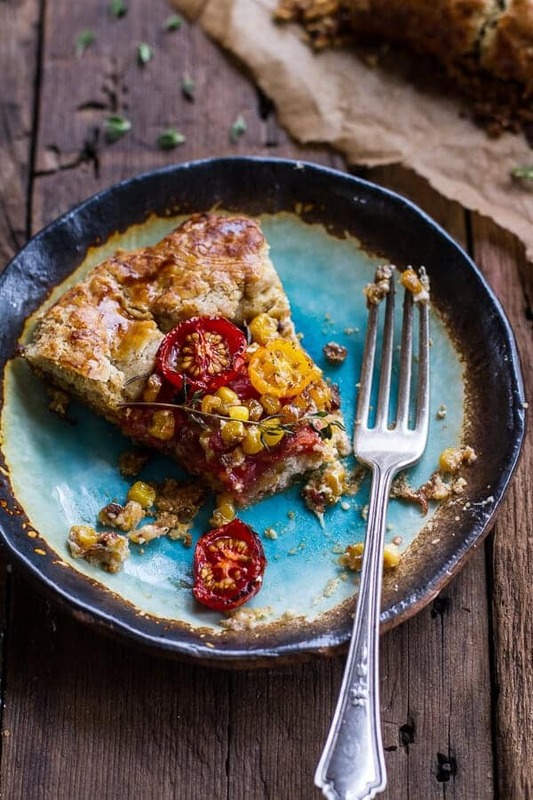 savory galette, buttery crust, and tomatoes – you had me! Savory pies, tarts and glattes are underused think. Chicken pot pie has the market. So this is awesome reminder of possibilities! This looks gorgeous! One question: At the beginning of the recipe (step 3), you say to preheat to 400. Then, (step 8), you say to preheat to 375. I realize it’s not a huge difference, but wonder which is correct? You need the oven at 400 in the beginning. Then you turn the oven off, chill the dough and preheat the oven to 375 to bake the galette. Love savory galettes! This one has allll the summer goodness. 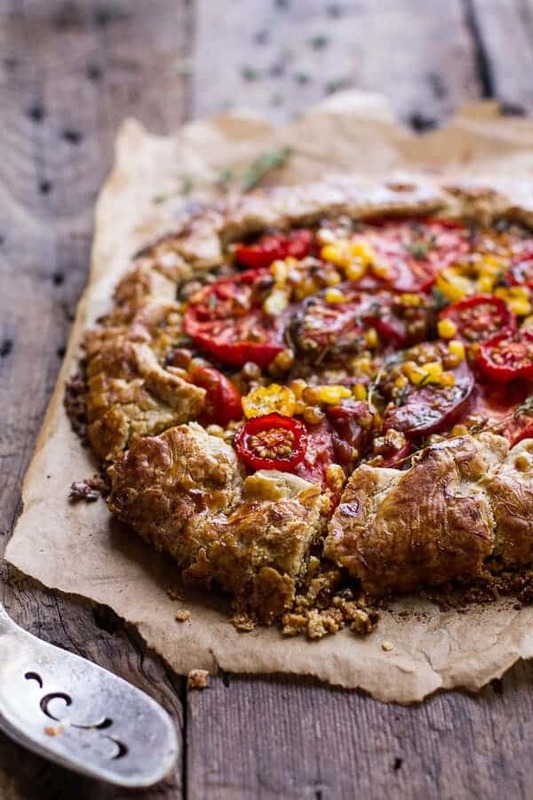 Definitely not weird to start with a savory galette, especially when it looks so amazing! I have to admit I can’t wait to see you try your hand at a sweet galette soon. BTW just wondering, how long have you been blogging for? I have been blogging about 1 1/2 years. 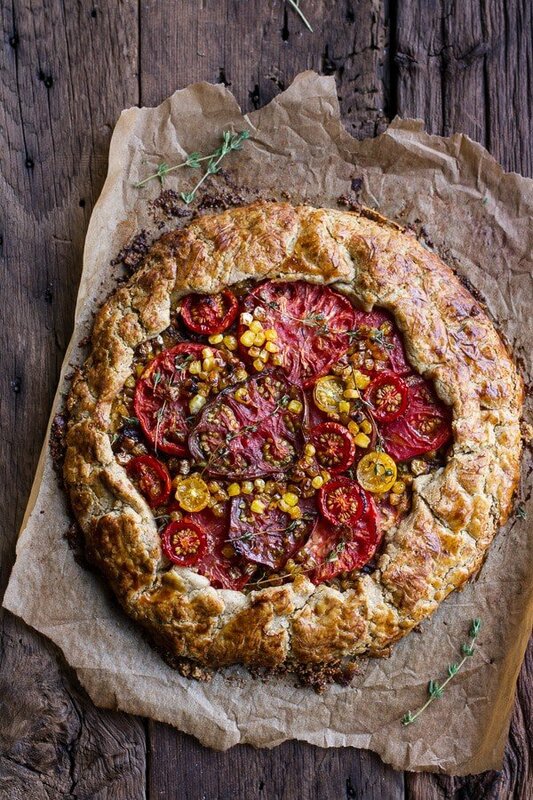 Any savory galette with heirlooms is my favorite thing ever and your photos are killing it! 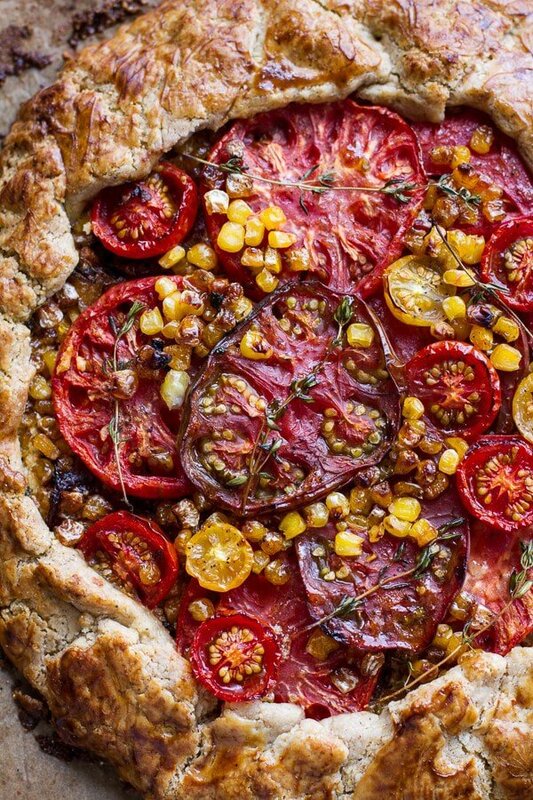 Now THIS is a summertime pie if I ever saw one, because I have to admit, the savory gets me over the sweet anytime. Thanks so much, Nicole! I love the savory pies too! Wow, the very top photo on this post is gorgeous! Nice shots. Makes me want to try making a galette. WOW! What a beautiful pie! Isn’t it amazing how something that’s supposed to be a bit messy ends up looking so beautiful? I love this, Tieghan. Thanks! Looks Delicious! My husband cannot stand goat or blue cheese, what else would you suggest using? I would use mascarpone or feta. Do those work for you? Can you use a Kitchen Aid instead of a food processor for the dough? As long as you break the butter up with you hands I think that should work. Just don’t beat the butter, you need to be crumbled into the flour. Leg me know if you have any more questions and I hope you love this! Yummy yum yum! 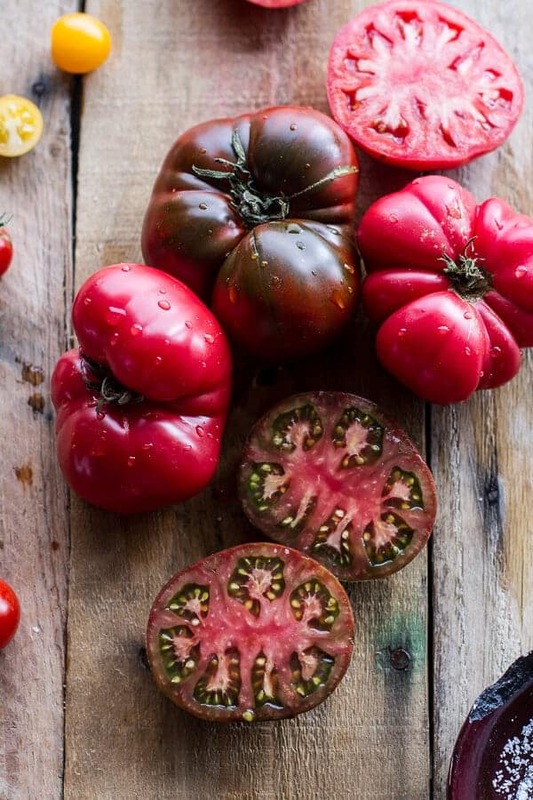 Those tomatoes are lovely, I always love the darker shade ones. 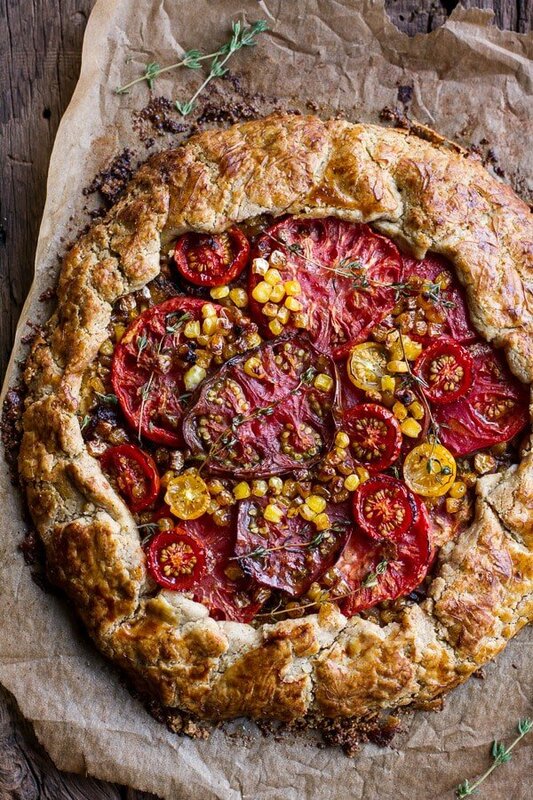 Right now are picking a few pounds of tomatoes a day so this would be a perfect and savory way to use them! This has to be the best thing I ever put in my mouth. Like, “last meal” awesome. Made it yesterday morning and refrigerated it after assembly until dinner. Literally thought about it all day. This is perfection, pure and simple. Seriously, this recipe should win something…to say it is amazing is an understatement. 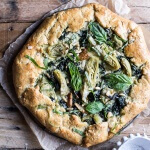 I just saw this galette on Tastespotting and it looks amazing! Pinned! Well this is INCREDIBLE. Stop reading my mind. 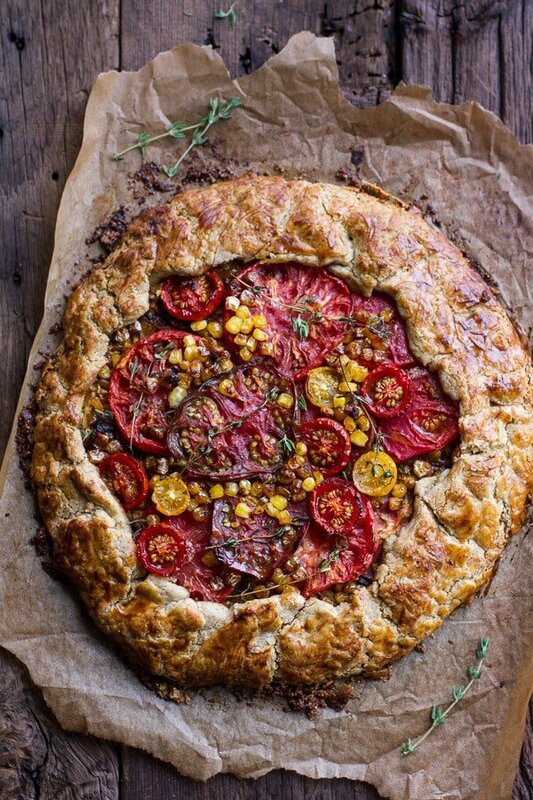 I’ve been wanting to make a tomato galette recently (alas I have yet to perfect a gluten free pie crust that will hold up in a galette). I’m completely enamored of this dish you’ve developed. GOAT CHEESE!!!! Can I come over for dinner? please? As for a crust, have you tried any from Aran over at Cannelle et Vanille?? I have had her crust and it’s awesome! Gorgeous ! Stunning photography, love love love it. I’m very excited to make this; however, may I make a suggestion? Add the garlic roasting time into the prep time. I saw the 30 minute prep and got excited—I’m a new mom, with a demanding newborn—but then realized it was going to take me much longer and more oven time then I’d originally thought. Thanks for the suggestion, Katie. I will do that, it make sense and I do not want to mislead people. Thanks for the update to the timing. I thought about leaving out the roasted garlic, but I was able to do that during naptime and then my kid was super patient while I made it. It was the most complicated recipe I’ve made with him around—but it was so worth it! My husband and I absolutely love how it turned out! Hi hi! Looking foreward to making this tasty little number for Christmas Day!! Am just wondering if or what I could do in advance?? Will it hold cooked in the fridge if I make it the day before?? Can I use ready made pastry (gasp) if I run out of time? Or will it just not be the same? Thankyou! And wishing you a very jolly Christmas! Hey Olivia, it holds up great if made the day before, I actually did just that! And yes, ready made pastry will also work. So so so yummy! Had saved this post and stocked up on tomatoes and corn last week. The heirlooms are hard to come by here in the CO mountains! I made this for a Labor Day BBQ and it rocked our world!!!! 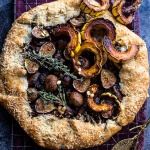 I’ll be making this again and again–and maybe for future variety (and seasonality) mixing it up with toppings because this crust was crunchy and buttery goodness! Loving all your stories, photography and recipes, too. Thank you! I have made this and it is amazing! I want to make for a BBQ but there is an egg allergy… What could I replace the egg yolk with in the crust? Hey Shelby!! The egg yolk and be omitted, not a huge deal. Just use a bit more water. Let me know if you have questions. Thanks!! I just want you to know that this recipe is my top 5 all-time recipes ever. I’ve made it at least 3 times, and often dream of eating it for weeks on end. I <3 savory galettes. Everything about this recipe is such a dream. Wow that is so amazing! Thank you Grace! First off, this was delicious (and beautiful). All the summer flavors layered beautifully. It took me so much time, though, that I am going to say it wasn’t worth it. I certainly couldn’t pull it together it on a weeknight. And if I wasn’t having a guest for dinner, would I spend another beautiful Sunday afternoon in the kitchen to make this? No. Hi Dede! I am so glad you enjoyed this, but apologize for the time it took to make it! I hope you love some other recipes on my blog as well! This was quite good! There are a lot of steps, but nothing very complicated. It does require a good amount of time- don’t think you can whip it up in 30 minuets! The good thing is you can make the different parts shared of time and then make it quickly (roast the garlic, make the dough, mix the cheese, even Carmelize the onions and corn). Planning ahead makes all the difference. I did find the highlight was more on the corn side, rather than the tomato front, which I wasn’t expecting but does make sense given the amount of corn used. But sure to use good corn!! Thanks for sharing this recipe! I am so glad you enjoyed this recipe Lindsey! Thank you so much!